Most of our birds are injured as a result of accidental contact with humans, but Arizona’s story is different. She was raised illegally in captivity. Because she was not fed a proper diet during this crucial period in her growth, she suffered from malnourishment, and her bones could not develop properly. A rehabilitator in Sedona, AZ treated her, but the damage was permanent. Arizona cannot fly well, so VINS gave her a permanent home in 1996. 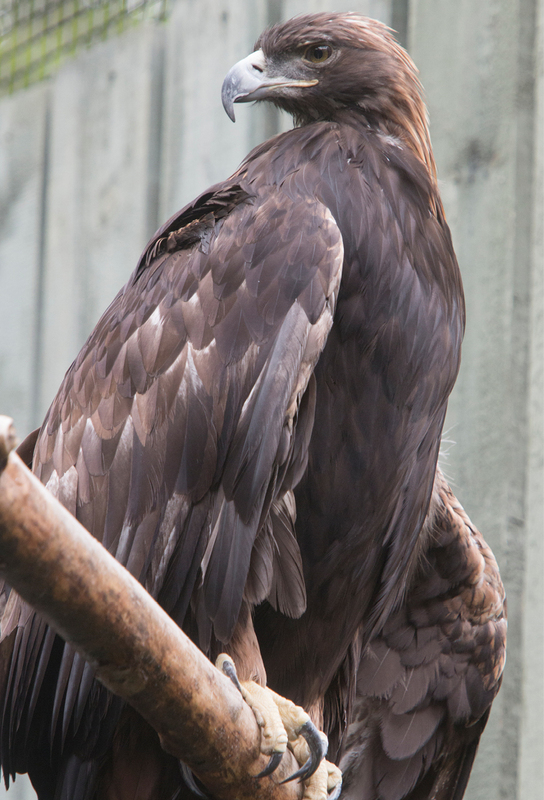 Golden eagles are rare in our area, and even birdwatchers rarely see them in the wild. Once thought to be absent from the eastern United States, recent satellite tagging has suggested a population of up to 1,500 birds can be found here. 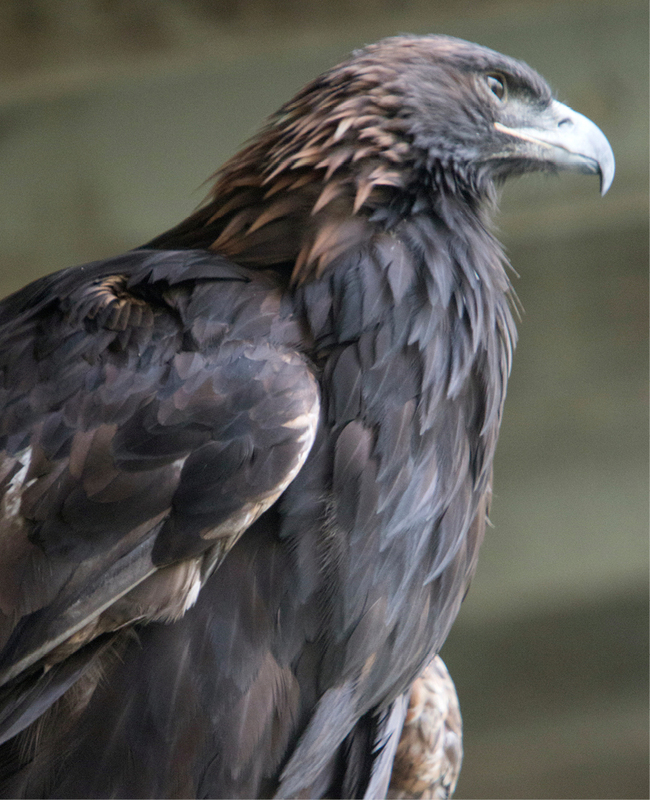 Breeding in northeastern Canada, these eagles migrate through New York and Vermont in November, the month after the other fall migratory raptors, to winter in the central Appalachians. 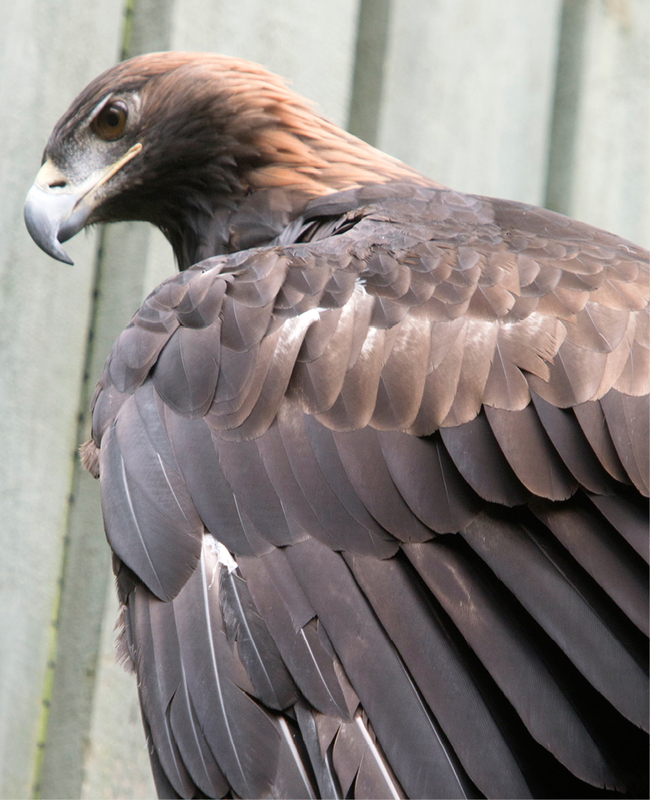 Thank you for helping support the care of our Golden Eagle, Arizona, through the RISE Adopt a Raptor Program. Together, we can protect our natural heritage through education, research and avian wildlife rehabilitation.